847.570.2860 847.733.5087 fax Get Directions This location is wheelchair accessible. Doctor O was incredible. VERY informative, professional and gave me tons of knowledge especially being a first time mom. I would see him every visit if I could. My husband and I left his office feeling very good!!! Dr Ouyang answered all of our questions and never made us feel rushed. I could tell he doubled checked everything before giving us the information and he made it as easy to understand as possible. Most importantly he was compassionate and empathetic, and I felt like we were supported at that moment and would be supported the entire way through our pregnancy issue. I would highly recommend him. Loved them all - they took their time with me & my questions - all had excellent bedside manners & were very knowledgeable about my health issues - I would improve the fact that there were 1 or 2 docs I never met or only met once before delivery. I really liked Dr. Ouyang, he was incredibly pleasant, spent a good amount of time with me, and actually made me sorry that I won't have an opportunity to interact with him more often in the future. He is one of the best doctors that I have seen in this group. He is thorough, relatable, compassionate, and kind. Dr. David was great, friendly l, and explained things very well. Eeally liked this Doctor! He made me feel comfortable, very upbeat, explained everything to me. Excellent experience; patient & thorough doctor. 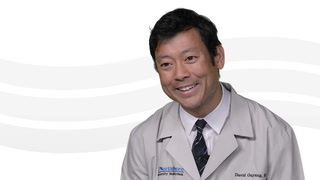 *Dr. David Ouyang is phenomenal. He is likely the most educated doctor I have ever come into contact with. I wish that he could deliver my child!